Looks like Knuckles has been skipping leg day. Sega has just spilled the beans on 2014's upcoming Sonic title for Wii U and 3DS. It's called Sonic Boom, and it won't feature Street Fighter's Guile in any shape or form. It is being developed by Big Red Button, though, which was formed from members of the old Naughty Dog team that worked on both Jak and Daxter and Ratchet and Clank. Check out the dubstep-laden trailer to the right. So what do you think? Honestly, Sonic is kind of at the point where there have been so many terrible games in the franchise, that anything that isn't complete rubbish would impress me. However, the team working on this means it may be worth keeping an eye on. 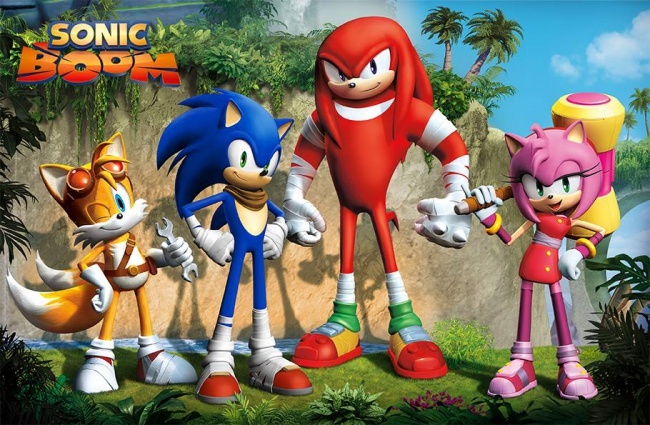 Sonic Boom will release on the Wii U and 3DS in 2014.